SCANTY GELA: Men's Style! : Can I Tuck My Jeans into My Boots? #1 Students English BLOG. .North Cyprus. 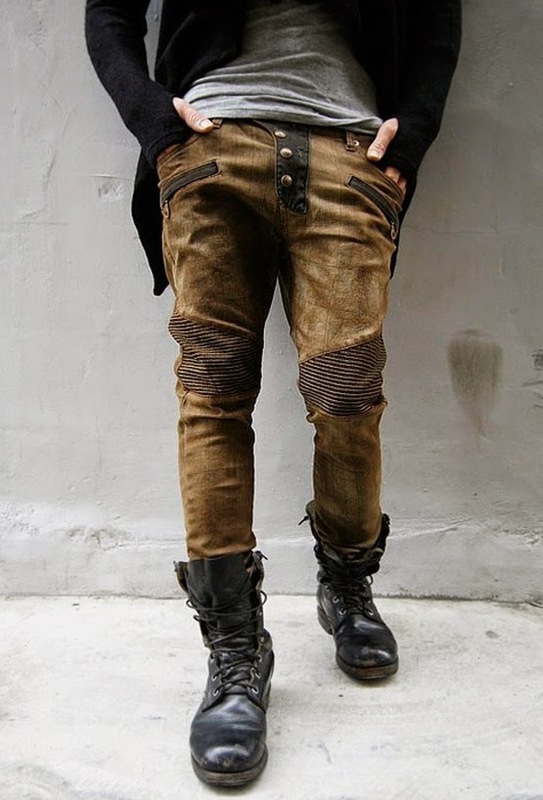 Men's Style! : Can I Tuck My Jeans into My Boots? 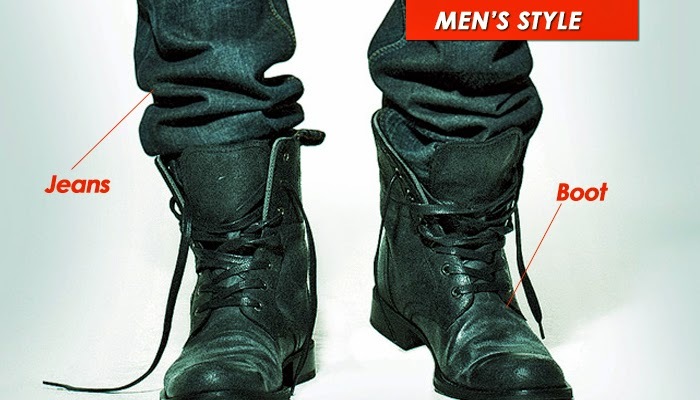 Wearing your denim inside your boots is a stylish move, but it started out as a practical one. 19th-century frontiersmen and cowboys would tuck their pants into their boots to keep them free of debris and prevent them from snagging on brush when they rode their horses. We don’t have those same needs today, but you can still channel the rough-and-tumble grit of our Wild West forefathers. The trick is in finding the right proportions. Next, you should have boots that rise above your ankle and have room inside for the jeans. The more rugged and beat up the boots, the better. You’ll look like a tool if you try to tuck into a pair of shiny Chelsea or ankle boots. When lacing, stop a few lace holes from the top, wrap the laces around the back of your boot, then bring them around front again and tie them. That will create a rakish and authentic look. After you’ve laced up, slightly tug on the jeans so they crease a little just above the top of the boots. The most important part of this look? Wear it with confidence. The second you start doubting your choice, you’ll come across as contrived. Now, go do our cowboy ancestors proud. COOL WAYS TO PARTNER WITH US! Please keep your comments civil and to the point. Any off remark on gender, racism, etc will be deleted. HIP HIP HURRAY! 1[ONE] YEAR Anniversary of Scanty Gela BLOG. Celebrating AWESOME. Like Scanty Gela on Facebook!